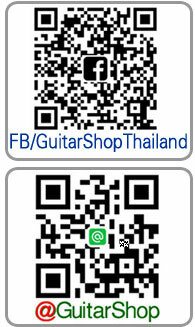 Condition: New ตัวล็อคสายสะพายสีเงินFender®แท้สำหรับกีตาร์ไฟฟ้า,กีตาร์โปรง, และกีตาร์เบส - Schaller & Fender Style Guitar & Bass Strap LocksFender part 099-0690-000 The original chrome straplock and button that comes on every American Stratocaster, Telecaster, Jazz and Precision Bass. **กรณีซื้อสินค้าหลายรายการค่าจัดส่งสารถคิดรวมกันได้ .. 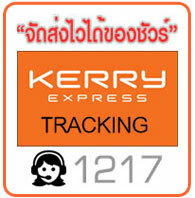 Condition: New ปุ่มคล้องสายสะพายกีตาร์กิ๊บสันสีทองPrat No. : PREP-010 Gibson Accessories Strap Buttons - Gold Gibson Accessories genuine replacement parts let you keep your prized Gibson guitar playing and looking great, while maintaining the true original essence of your instrument. Sure, there are dozens of aftermarket manufacturers out there making look-alike knockoffs, but if you want the real deal for your real Gibson guitar, only Gibson Accessories parts will do. S.. Condition: New ปุ่มคล้องสายสะพายกีตาร์กิ๊บสันอลูมิเนียมPrat No. : PREP-020 Gibson Accessories Strap Buttons - Aluminum Gibson Accessories genuine replacement parts let you keep your prized Gibson guitar playing and looking great, while maintaining the true original essence of your instrument. Sure, there are dozens of aftermarket manufacturers out there making look-alike knockoffs, but if you want the real deal for your real Gibson guitar, only Gibson Accessories parts w.. Condition: New ปุ่มคล้องสายสะพายกีตาร์เฟนเอร์สีทอง Genuine FENDER original strap buttons Part Number:0018916049 For Stratocaster / strat. Telecaster / tele. These are real fender and are. Fender custom shop vintage guitars. Replacement parts. **กรณีซื้อสินค้าหลายรายการค่าจัดส่งสารถคิดรวมกันได้ .. 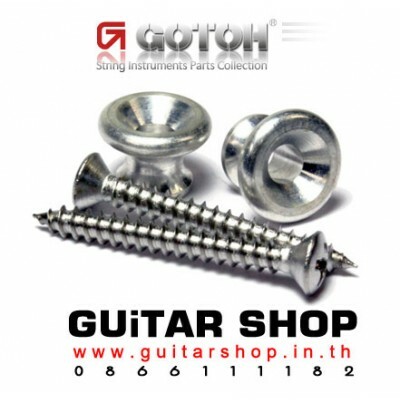 Condition: New GOTOH Guitar strap button Aluminum EP-A1 2pcs/set **กรณีซื้อสินค้าหลายรายการค่าจัดส่งสารถคิดรวมกันได้ .. Condition: New ปุ่มล็อคสายเฟนเดอร์แท้ Genuine Fender American Series Locking Strap Buttons Genuine Fender Part Number : 0994914000 Fender American Standard Series Straplock Strap Buttons, Set of Two Set of two Fender American Standard Series chome strap lock buttons with mounting screws. Mates with Fender Schaller Strap Locks exactly. Brand New ***สินค้าประกอบด้วย หมุดล็อคสายและสกรุจำนวน 1คู่ ไม่รวมตัวล็อคสายข้อมูลสินค้าเพิ่.. Condition: New ปุ่มล็อคสายเฟนเดอร์แท้สีทอง Genuine Fender American Series Locking Strap Buttons Genuine Fender Part Number : 0994914200 Fender American Standard Series Straplock Strap Buttons, Set of Two Set of two Fender American Standard Series strap lock buttons with mounting screws. ***สินค้าประกอบด้วย หมุดล็อคสายและสกรุจำนวน 1คู่ ไม่รวมตัวล็อคสายข้อมูลสินค้าเพิ่มเติมจากเว็บFender USA *กรุณาตรวจสอบขนาดและรายละเอียดของสินค้าให้แน่.. Condition: New ยางล็อคสายสะพายกีตาร์ 4ชิัน 4 Pcs features hard rubber strap blocks to keep your strap from accidenally slipping at an inopterune time. .. 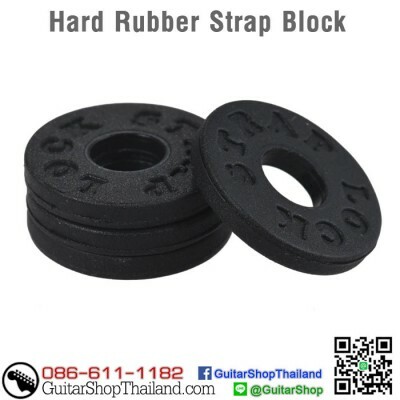 Condition: New ยางล็อคสายสะพายเฟนเดอร์ Fender Strap Blocks Parts Number : 099-0819-000 This 4-pack features hard rubber strap blocks to keep your strap from accidenally slipping at an inopterune time. Includes two black and two red. Just slip your strap over the strap button and then secure it in place with the block. .. 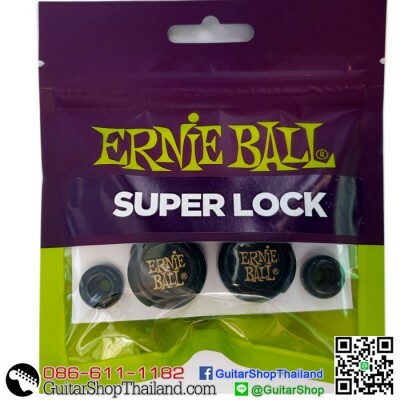 Condition: New หมุดล็อคสายสะพายกีตาร์ ERNIE BALL® Super Locksแข็งแรงทนทาน ล็อคสายสะพายได้แน่นหนาสีดำทำจากโลหะเคลือบออกไซด์ดำERNIE BALL® Super LocksMade from black oxide finished steel. Complete 360 degree secure connection. Robust mechanics providing maximum durability. Set of 2. Pilot hole: 7/64" Diameter, 1 1/2" Deep. .. Condition: New ล็อคสายสะพาย SchallerSchaller Guitar Strap Locks and ButtonsModel: MetalFinish: PolishedSurface: Black ChromeModel: Packed in PairsWeight g/item: 22Manufacturer Part Number : 14010401Made in Germany *กรุณาตรวจสอบขนาดและรายละเอียดของสินค้าให้แน่ใจว่าตรงกับสิ่งที่ท่านต้องการก่อนทำการสั่งซื้อ .. Condition: New ล็อคสายสะพาย SchallerSchaller Guitar Strap Locks and ButtonsModel: MetalFinish: PolishedSurface: ChromeModel: Packed in PairsWeight g/item: 22Manufacturer Part Number : 14010201Made in Germany **กรณีซื้อสินค้าหลายรายการค่าจัดส่งสารถคิดรวมกันได้ .. Condition: New ล็อคสายสะพาย SchallerSchaller Guitar Strap Locks and ButtonsModel: MetalFinish: PolishedSurface: GoldModel: Packed in PairsWeight g/item: 22Manufacturer Part Number : 14010501Made in Germany *กรุณาตรวจสอบขนาดและรายละเอียดของสินค้าให้แน่ใจว่าตรงกับสิ่งที่ท่านต้องการก่อนทำการสั่งซื้อ .. Condition: Newตัวล็อคสายสะพายสีเงินสำหรับกีตาร์ไฟฟ้าและเบสElectric Guitar Bass Strap Locks for Fender Gibson Silver Suitable for all kinds of guitars Easy to install, convenient to use Each guitar needs two strap locks Material: Copper with Black plating Color: BlackDiameter: Approx. 2.5cm **กรณีซื้อสินค้าหลายรายการค่าจัดส่งสารถคิดรวมกันได้ .. Condition: Newตัวล็อคสายสะพายสีเงินสำหรับกีตาร์ไฟฟ้าและเบสตัวล็อคสายสะพายสีเงินขนาดใหญ่แข็งแรงสำหรับกีตาร์ไฟฟ้า,กีตาร์โปรง, และกีตาร์เบส - Marvel Big Style for Guitar & Bass Strap LocksMarvel Style Electric Guitar Bass Strap Locks for Fender Gibson Silver Suitable for all kinds of guitars Easy to install, convenient to use Each guitar needs two strap locks Material: Zinc Alloy with Chrome platingColor: Silver **กรณีซื้อสินค้าหลายรายการค่าจัดส่งสารถคิดรวมกันได้ .. Condition: Newตัวล็อคสายสะพายสีเงินสำหรับกีตาร์ไฟฟ้าและเบสElectric Guitar Bass Strap Locks for Fender Gibson Silver Suitable for all kinds of guitars Easy to install, convenient to use Each guitar needs two strap locks Material: Copper with Gold plating Color: GoldDiameter: Approx. 2.5cm **กรณีซื้อสินค้าหลายรายการค่าจัดส่งสารถคิดรวมกันได้ ..